The concept of learning is fast evolving in order to keep pace with the relentless change in today’s world. Today’s learners require higher levels of creative and social intelligence, and the technical ability to be successful. 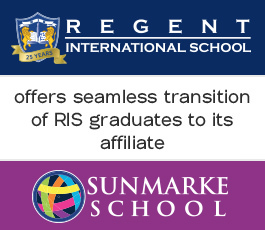 Regent International’s educational philosophy is based on Positive Education (PosEd) which develops skills for ‘academics and achievement’, as well as skills for ‘character development and wellbeing’. Research has shown that children schooled in PosEd achieve stronger academic outcomes in addition to being happier individuals. 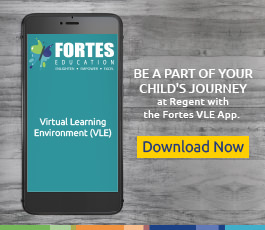 Under PosEd, Regent International has developed a high-impact, holistic education programme called MultiSmart Learning™ that nurtures and unlocks multiple pathways to learning and develops key ‘core skills’ and ‘multiple intelligences’ triggering their all-round development. Students are given a myriad of opportunities – in and out of the classroom, through academic study and extracurriculars, and through personalised instruction and group learning – to develop multi-disciplinary thinking and a robust growth mindset for learning. The ability to analyse information, challenge assumptions, solve problems, reach conclusions, and think imaginatively. The ability to discuss, reason and engage in dialogue, and communicate articulately. The ability to work with others, achieve collective goals, and resolve differences. The ability to set, achieve and evaluate personal goals, respond to feedback, embrace change, and persevere through challenges.